We just wanted to say a huge thank you to everyone who came to visit us and the overwhelming interest and support you guys have given us as we prepare for launch! 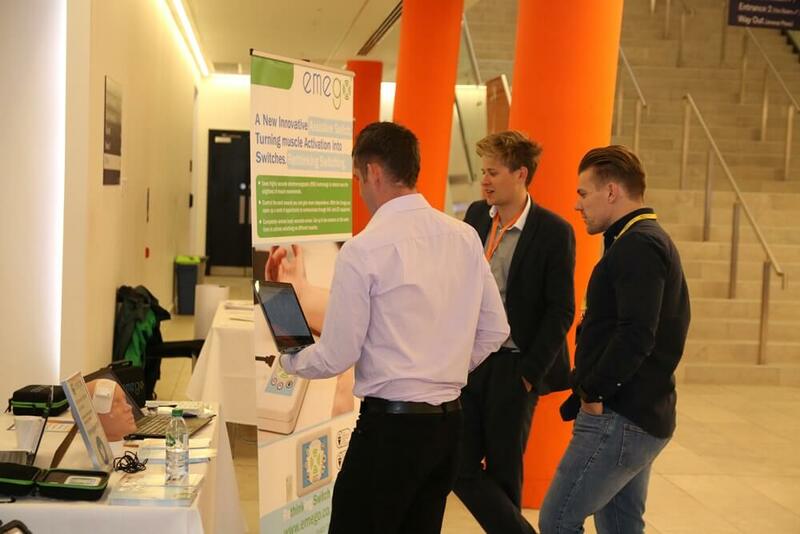 Last week we attended and exhibited at one of the biggest assistive technology conferences on the calendar right in our neighbouring city of Sheffield. And what an event it was! 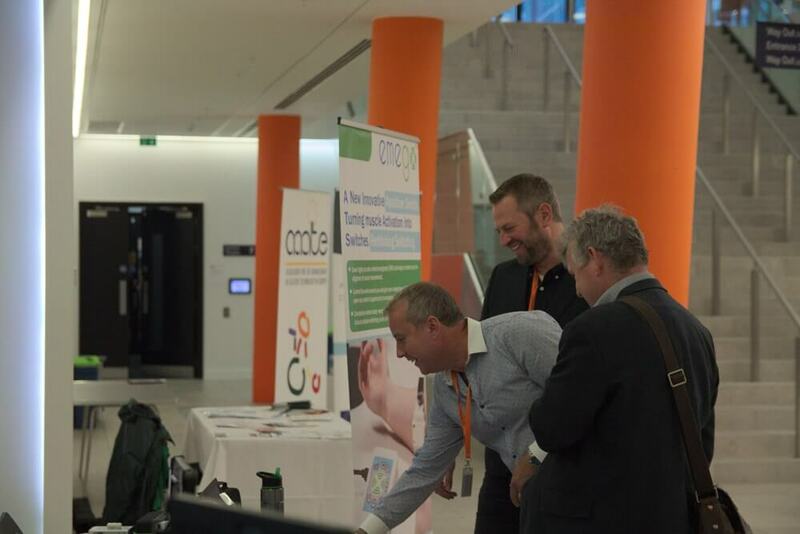 Four fantastic days of talks, networking and product demonstrations to people from all over the world who work with the assistive technology sector. Day one kicked off with the student tournament where a large group of undergraduate and post-graduate students were put into teams to solve issues regarding real-world problems for people with disabilities. The focus was on assistive technology and how someone can communicate using hardware and/or software. Applying their knowledge from their education these young inventors came up with novel ideas that impressed the judges as wwell as the spectators. 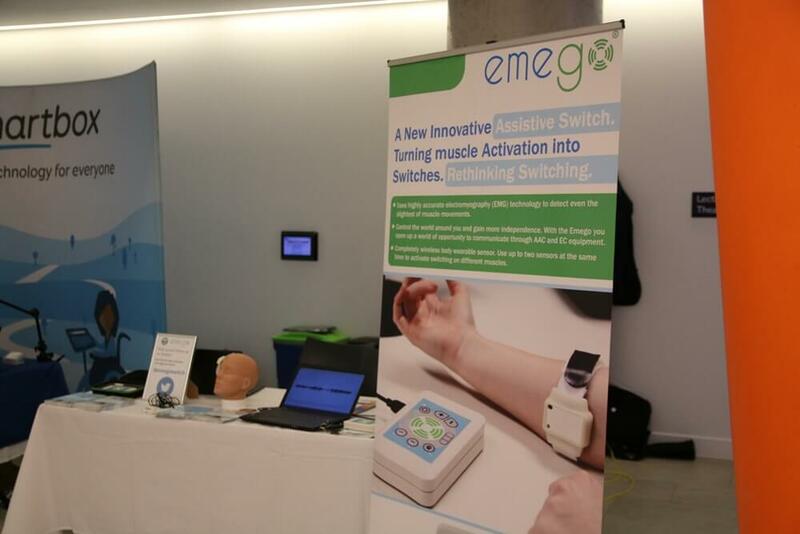 This was also Emego’s first day of exhibiting as Jack and Paul demonstrated to interested people the powerful EMG device. People were flocking to the stand to listen all about this novel switch in between breaks from fascinating talks that included highlights that highlighted the use of technology in the NHS and OT’s perspectives on using technologies such as iPads for cognitive interventions. An early start ensured prime position for Emego on the start of day two. Located in the incredible Diamond building in the heart of Sheffield University we were joined by many other exhibitors including communication software specialists, Smartbox, a group of developers who are creating the GPII infrastructure for accessibility and eye tracking specialists, Tobii Dynavox. Along with other exhibitors, the delegates had a busy and fulfilling day of lecture style talks and networking with old and new faces. Dementia – cognitive impairment, technology for independent living and innovative technology were all hot topics on the first day. Simon Judge, who is a Senior Clinical Scientist and one of the major collaborators on the Emego switch project, gave an excellent talk in the morning titled, “A User-centred Approach Exploring the Potential of a Novel EMG Switch for Control of Assistive Technology”. This focussed on the Emego switch and how Simon, along with the Barnsley Assistive Technology Team have been using and exploring EMG switching in real patient trails. One of the highlights of the day was the final talk in which Tony Prescott and Sebastian Conran gave a talk titled, “Collaboration to transform laboratory research into real world useful robots.” This well attended talk gave an insight into projects using robotics and how they are transforming research for the better. Jack and Paul demonstrated throughout the day to delegates of the AAATE conference. Delegates had travelled far and wide from Italy, Japan and the United States to name but a few, to be in Sheffield for the second day of the main conference. We were thrilled with the positive reception Emego was getting and the interest was mounting. 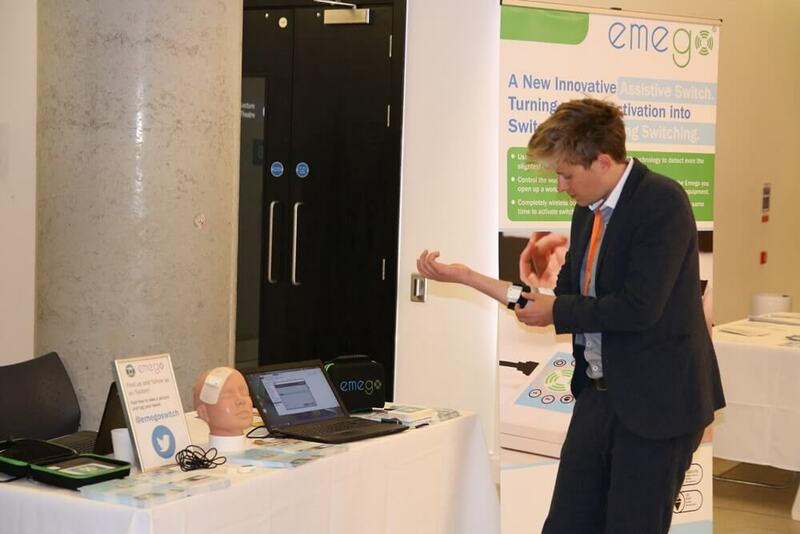 Delegates were keen to get their hands on the Emego switch and try it out for themselves. 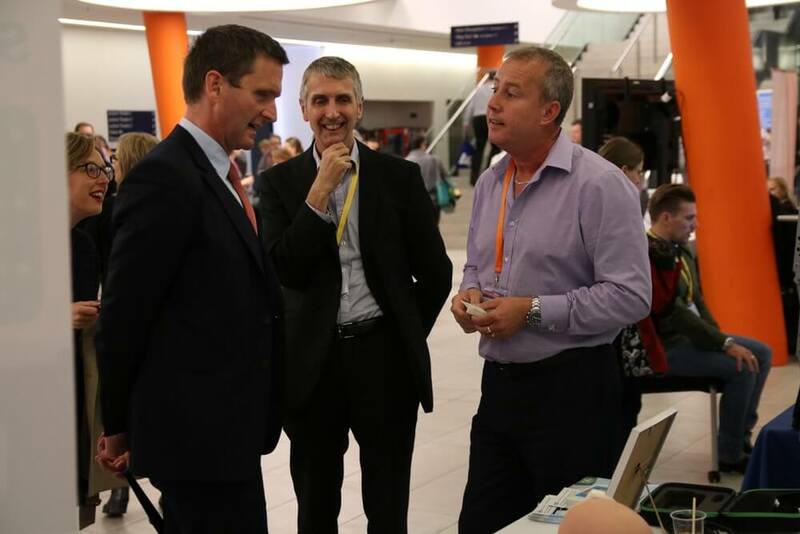 A visit from 9 times Paralympian gold medallist, Lord Chris Holmes rounded off a great day for the Emego team. Lord Holmes then gave the Plenary talk to an inspired crowd. This marked the end of a great two days full of talks about the challenges and bright futures for assistive technology. The T4i RAatE conference was Emego’s final outing for the week. 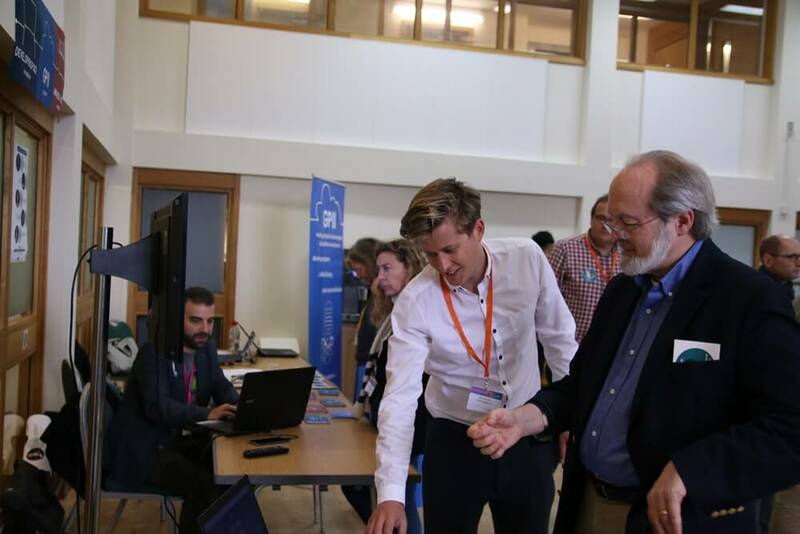 The conference took place at St Mary’s Conference Centre and once again attracted delegates far and wide with a specific interest in assistive technology. Emego was shown all day at the conference and once again to positive fanfare. Other exhibitors included Therapy Box , a project that is set to help people communicate more easily, the CATCH team demonstrating popular robots, MiRo and Pepper. Jack, Paul and the rest of the Emego team came away from the conference extremely confident and happy about the reception the EMG switch got. This three year-long project is nearly ready for commercial release and we are excited to see how people who require the use of assistive technology will use Emego for the greater good. We’d like to thank everyone who we met at the conference and to the organisers for all their hard work on putting on a great week. Till next year! 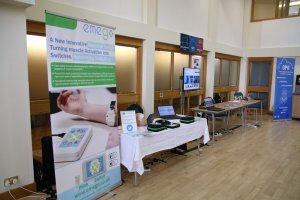 For those interested in talking about Emego then please do get in touch with us at hello@emego.co.uk and a member of the time will be happy to answer any questions you have about the assistive switch.